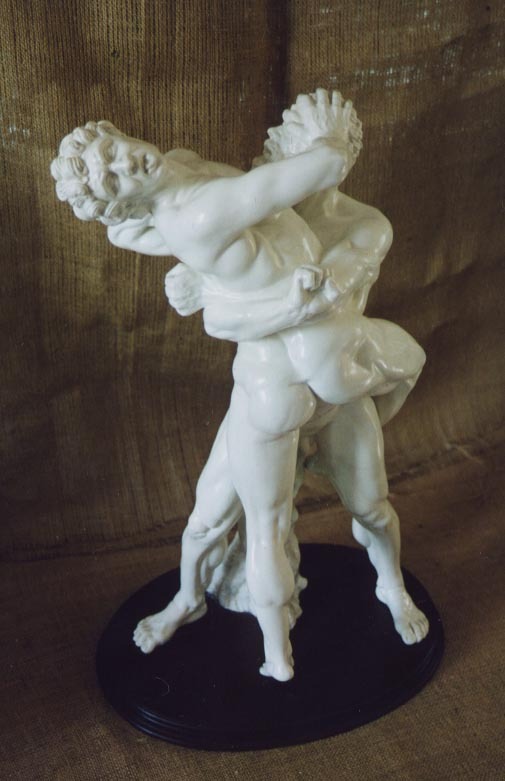 3This statue of Hercules wrestling was created 50 years ago in Italy from a rare mold. It was passed on through two generations, but sadly was broken while being shipped to America. 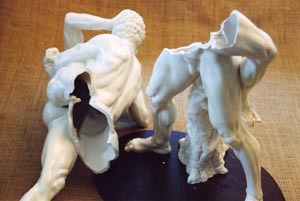 Fortunately, the fine porcelain statue of the two fighters was carefully restored by the sculptor to its original state. 3This old statue was restored by Zunino for the use by the Saint Anthony's society, that organizes the annual Saint Anthony's Feast in Boston's historic North End. This feast, named "The Feast of all Feasts" by the National Geographic, has been organized by the Saint Anthony di Padua da Montefalcione Society since 1919. 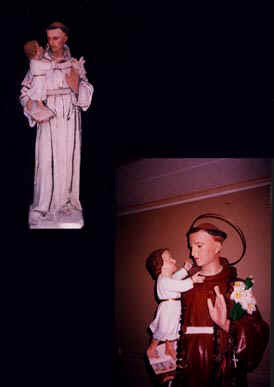 Many think there is no more loved and admired saint in the Catholic Church, and the appeal of Saint Anthony is universal throughout the world, with the most fervent followers coming from Southern Italy. 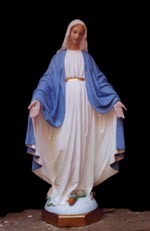 The celebration takes place in late August and includes three days of festivities: Friday begins with the blessing of the statue and devotees, followed by a short procession with a marching band to the temporary chapel. On Saturday the crowds are drawn to the North End by the street fair, complete with traditional Italian foods and "carnivale" style entertainment, with a Mass and Benediction following in the afternoon. Holy Communion is celebrated in the streets, as the blessed St. Anthony bread is distributed. On Sunday morning, another mass in honor of Saint Anthony is celebrated in Italian in the neighborhood church, followed by the Grand Solemn Procession through the streets of the North End, accompanied by a marching band. The bandstand is active with music and entertainment as the street fair goes on until 11 pm, and a candlelight procession ends the festivities at midnight. 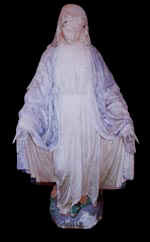 3This nearly 60 year old life-size, outdoor statue of the Blessed Virgin was restored to its original beauty by Henry Michael Zunino. Over half a century of exposure to the elements has caused extensive damage to this cherished family heirloom, which required reconstruction of the hands and facial features, as well as an entire exterior color restoration.